Storage boxes come in handy in keeping things organised and properly stored. At Koch & Co we carry a variety of fabric storage boxes and baskets of various sizes that will fit in any cupboards, wardrobes and shelves. Manage, coordinate and organise your items with our rigid 2 set storage baskets. Each set comes with one large and one smaller rectangle basket of matching design. Foldable storage boxes are perfect for temporary storage and organising as they can be easily packed away and takes up very little space when not in use. 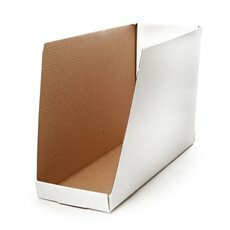 Our wholesale storage boxes and baskets can also be used as hamper baskets. Additionally, we sell picnic baskets, wooden wine baskets and more!